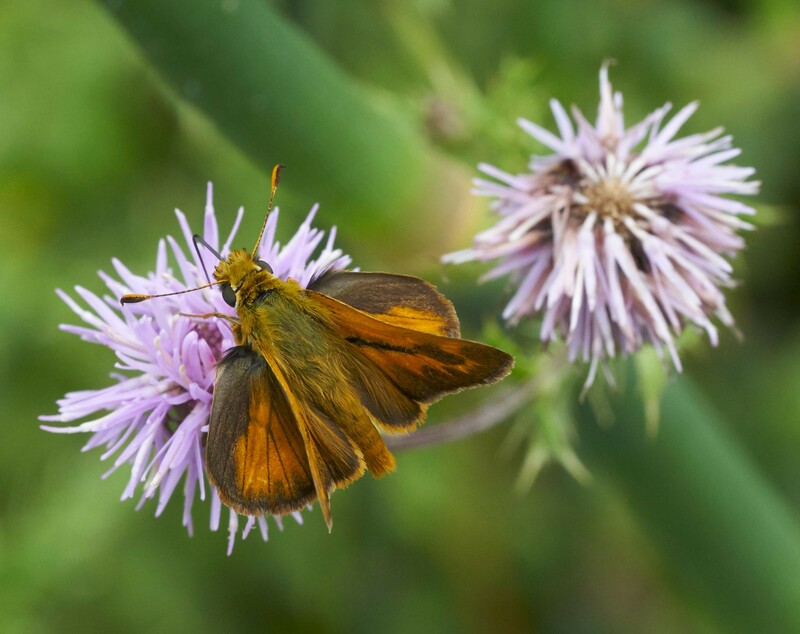 A spunky little skipper on a thistle. It's getting late in the season, the time when all the insects that overwintered as eggs have hatched, grown through their larval stages and are now wearing their adult colors. Fritillary on thistle. Likely a great spangled fritillary, there are several species with subtle differences. 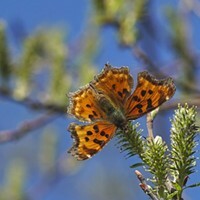 There were quite a few of one my favorite late season butterflies out today. 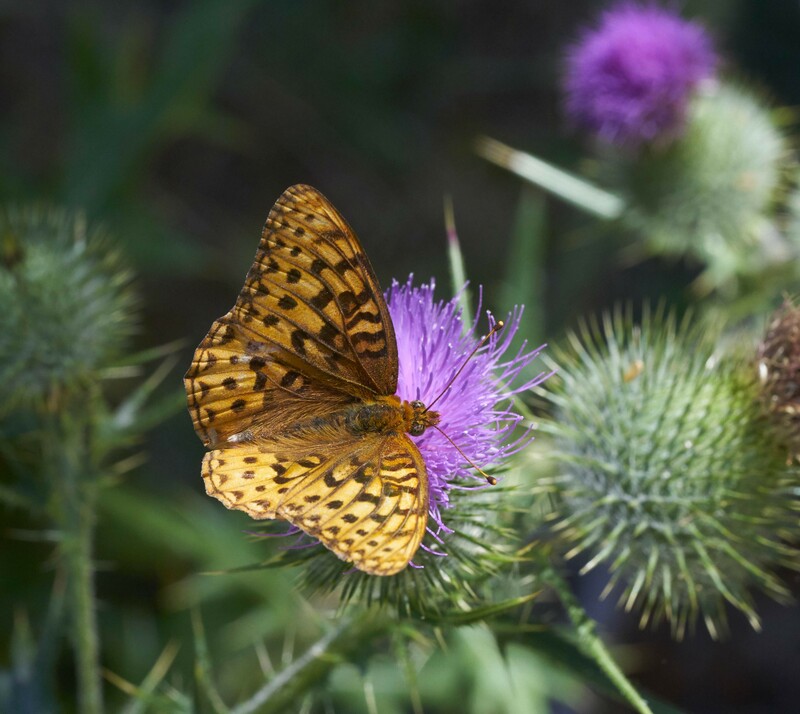 A fritillary (genus Speyeria) was nectaring on thistle blossoms. I looked through my archive of photos and found almost all of the shots I have of these are on thistles. 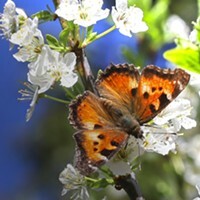 It makes sense that their maturation is timed to coincide with the blossoms on which they commonly feed. 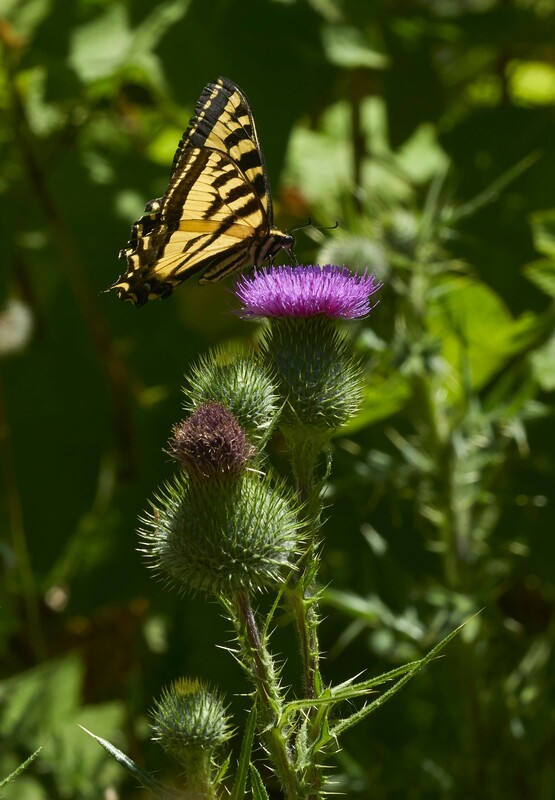 Western tiger swallowtail on thistle. Western Tiger Swallowtail (Papilio rutulus), our largest butterfly, feeds on almost any flower. 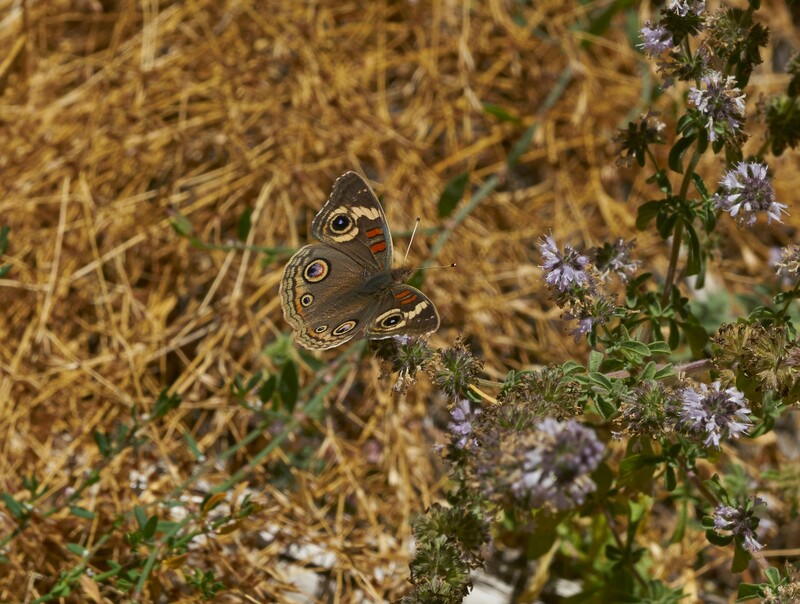 Buckeyes (Junonia coenia) sport striking eyespots and put on quite a show defending territories and pursuing mates whenever another one enters their airspace. 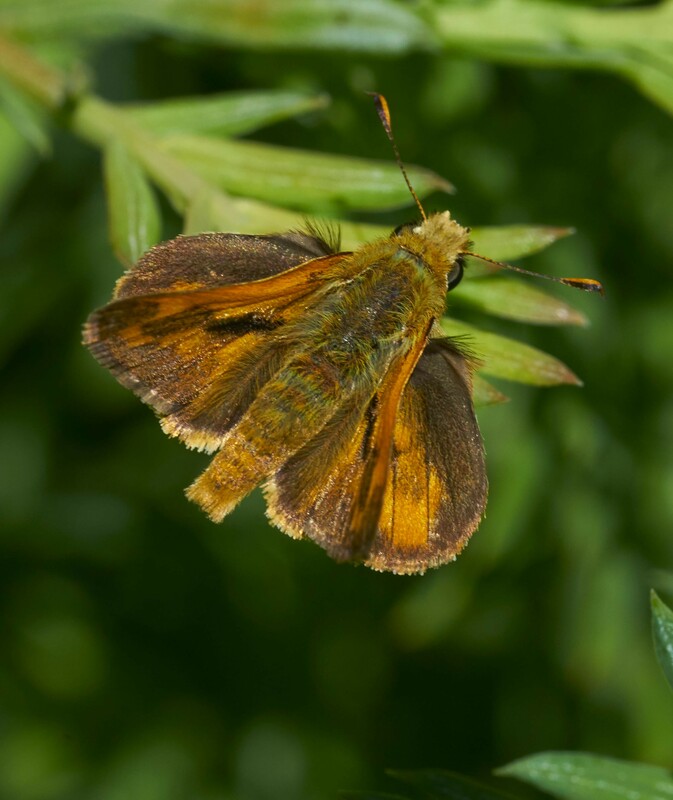 I've seen quite a few skippers (family hesperiidae) lately. 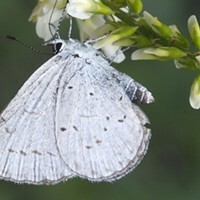 This group of little butterflies are, I think, vastly under-appreciated pollinators. I have always liked the way they hold their wings at rest, like a little jet fighter. 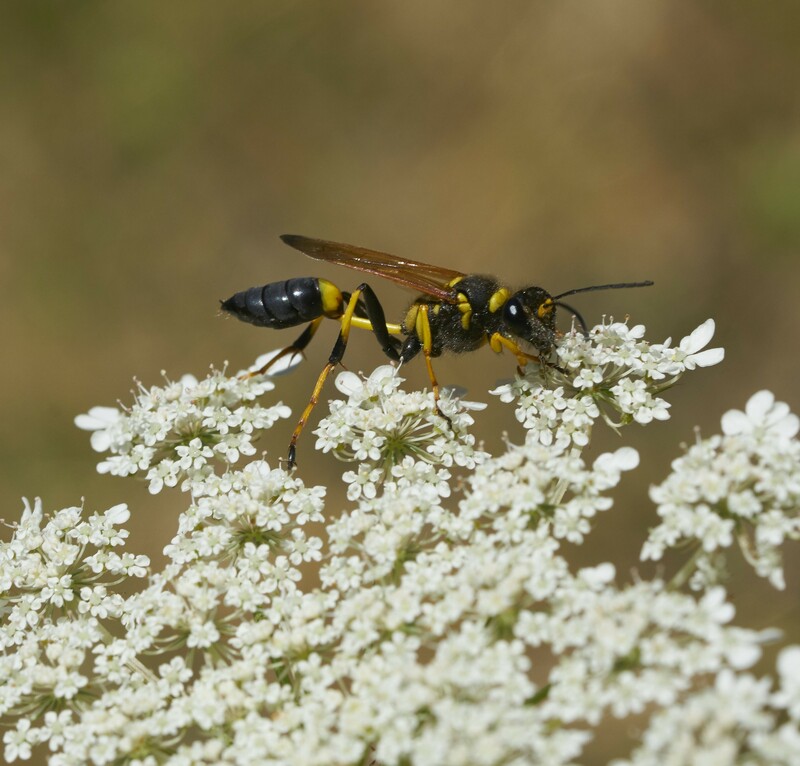 Yellow and black mud dauber nectars on Queen Anne's lace. A black and yellow mud dauber (genus Sceliphron), a wasp I've tried unsuccessfully to photograph before, allowed me to get a few shots. The females build mud nests and stock them with paralyzed spiders for their young.